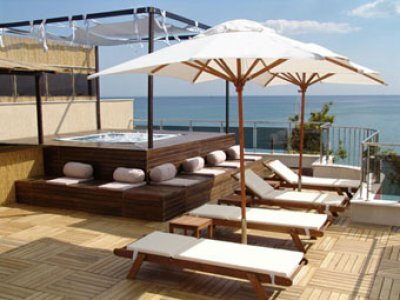 Location: The Valeo hotel is situated on the sea side of Balchik near the Botanic garden and the Palace Complex.The hotel is on the coast street , just a second away from the central part of the town. 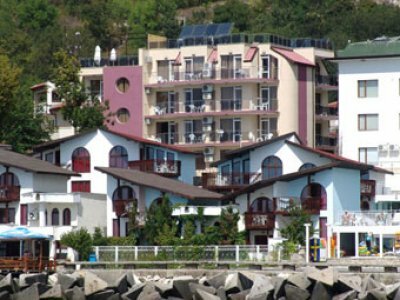 Accommodation: The Valeo Hotel has 58 places, organized in rooms and studios. There are air-conditioning, a mini- bar, a toilet and a bathroom in every single room. 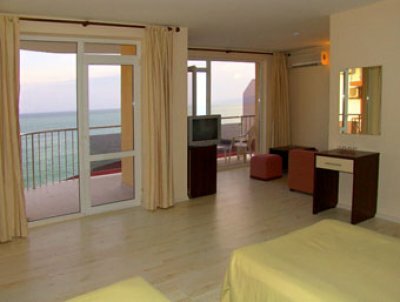 All rooms have sea view! These people who know the value of unique design decisions can enjoy them write here. 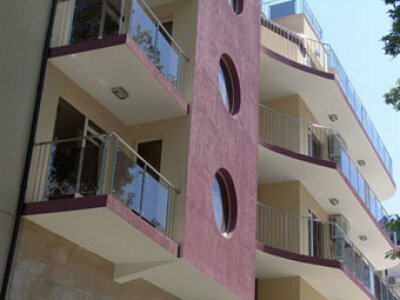 The individuality of The Valeo Hotel is complex of home comfort and the innovation taste. The lobby of the hotel is gently confides the guests hat they have made the best choice. The restaurant make them feel cozy thanks to its comfortable atmosphere and selected music. Everyone can see the quantity of the hotel if they see the interior and feel the attitude. I would like to make a reservation between 25 - 27 july. Please send me a phone number to call to reception in the shortest posible time. Is anybody able to give me information about the price of the double room during the peak season?